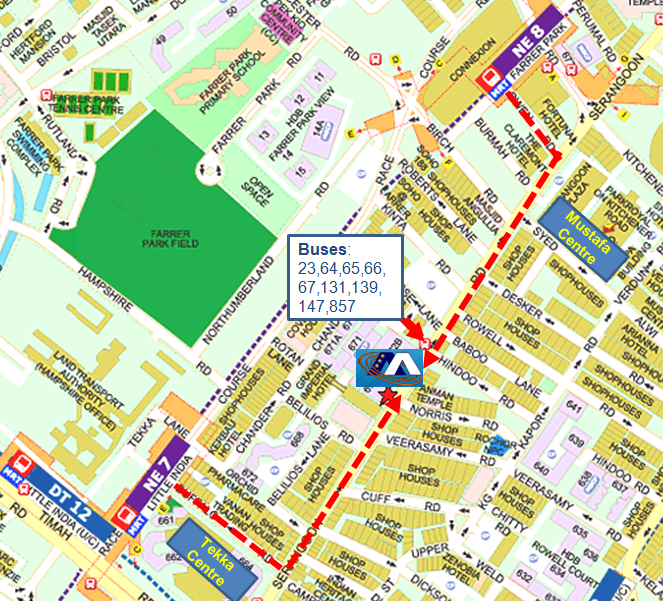 (1) Take the MRT North East Line and alight at either Little India or Farrer Park station. We are conveniently located 5 mins from these stations and are situated alongside Serangoon Road. (2) Take a direct bus (23, 64, 65, 66, 131, 139, 147,857) and alight at Broadway hotel. Blk 672A is right beside the hotel. AAT Training Hub Pte Ltd. began operations in 2005 and has since evolved into a widely recognized and accredited training provider. Throughout the years we have trained tens of thousands of professionals in various industries. Join us to be the next success story. Copyright 2019 © AAT Training Hub Pte. Ltd. | Website presence by Idris.